Finally British Summer is here, how glorious have the past few days been. Today is going to be another scorcher and I am undecided on what to do with Leanora A) A trip to Brighton Beach B) A picnic in Hyde Park. Now no matter what I decided, what I do know is that I or anyone in their right mind and in this weather wants to cook and slave over a hot stove! You want to be able to kick back in the garden with an ice cold beverage and spend your time with family and friends. 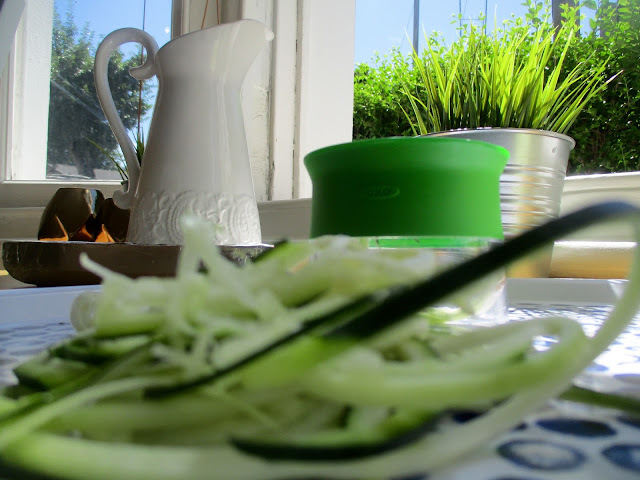 So I've got a great recipe that is super quick to make, thanks to my trusty new gadget sent to me by OxoUK it will have you in the kitchen for no more than 15-minutes, giving you plenty of time to kick back and enjoy this glorious weather we have been having. 1. 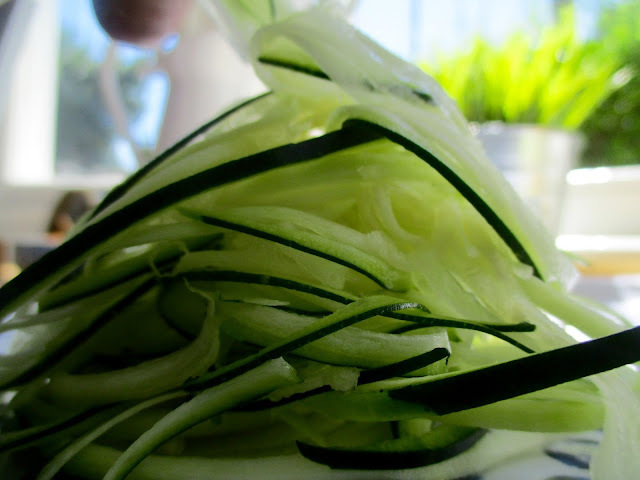 Spiralize your courgettes, if you do not have a sprializer then use a peeler and peel your courgettes in to ribbons. Finely slice your garlic. 2. Devein your prawns, once done give them a quick wash. Heat your oil in a frying pan on a medium heat. Whilst heating cover your prawns with your chilli flakes and sliced garlic, once all covered place in your frying pan and cook until pink on both sides and cooked through. How is easy was that! 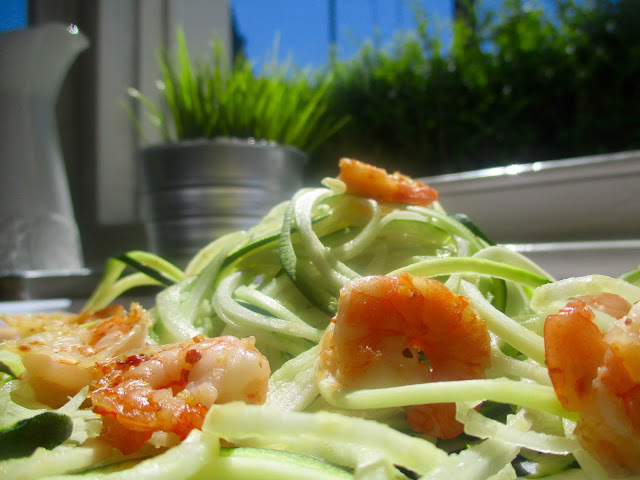 Now you would of noticed that I didn't cook the courgette spaghetti, its too hot I don't want to spend that much time in the damn kitchen, this mummy wants to kick back with her Cha-Chi and friends and enjoy this weather. When making this dish, just remember to keep it Shrimple! What ever the plan is today, Leanora and I will certainly be out enjoying this weather and I hope you guys will be too.